Some time ago I wrote, and delivered, a training course for those involved in the facilitation (coaching) of Shotokai karate-do and equine lecturers/instructors at an equine college I worked at (Shotokai karate-do is a traditional style of Martial Art karate that is not sport orientated). The day course included such things as the differences between an ‘instructor’, ‘coach’ and ‘teacher’ (not a school teacher type person who is mostly an instructor (?) but the type of ‘teacher’ found in Eastern philosophy - like the white haired fella in “Kill Bill II” but not so beard stroking !, session planning, goal setting and other bits of theory. The afternoon was designed to allow the equine folk to experience how the Shotokai coaches set about their activity and then a swap of roles and activities with the Shotokai coaches experiencing a more instructional setting and some discussion about both. It had good feedback reviews from all those attending and some even said that it would help them to do their activity in a different way. It was part of a personal pathway for me that was all about modelling activity (visual, emotional and physical transference of skill from one to another) that I was part of in Shotokai rather than the ‘stand in the sand’ methods that i’d largely experienced learning to ride. It led to the construction of a study of Novice horse riders who, after much discussion (!) experienced both methods when randomly assigned to two groups. Of course the modelling group made more progress than the other and enjoyed the sessions more as well. The study results were sent to the British Horse Society for consideration but I never got a reply from them - no real surprise there I suppose as it went against their methods as laid out in various teaching manuals. Now the reason I mention this, and indeed the reason for this Blog ‘what I write’ is that a short while ago Facebook kindly reminded me of a series of photographs taken during the lead up to one of my Black belt gradings (I think it was 3rd Dan) and a practical I was taking which i was to use as part of an assessed piece of work for my MSc Coaching Science (you see I didn’t let my interest in all things coaching and modelling drop just because the BHS didn’t reply !). The photos reminded me of the connections between the Martial Arts and how I’ve come to manage, be round and ride the horse I’m a human to. Now, I think I’ll always be better at karate-do than riding (I did it for much longer and achieved my 4th Dan - Shotokai only has 5 Dan grades) but it’s still something that i feel is strong enough to have a lasting effect on both things). Let me see if I can explain some of these connections / synergies …. We’ve got to start somewhere so we might as well start with the ‘biggy’: ‘energy’. In the Martial Arts there are two concepts of energy: Yin and Yang which is often described by the inter-linking black and white symbol which you’ve probably seen. Yang energy is described as ‘hard’ energy or thrusting, powerful and associated with attacks - strikes, kicks etc - in Martial Arts whilst Ying energy is ‘soft’ by comparison, blending, harmonising but still with strength associated with it. It might be described as the difference between a raging river system that smashes and destroys all before it as it floods down a valley compared to a benign river that drifts along as it meanders its way. The former will forcibly move earth and rock as it scours its path whilst the latter moves over, around, under obstacles and will wear them down without much notice being made of it. When many folk start to learn to ride they are encouraged to do so in a Yang-ish type of way; ‘pull’ the reins the way you want the horse to go; use your legs to ‘kick’ the horse on if it doesn’t respond as you want it; use some sort of artificial aid such as a whip or other contraption to control the horse (a bit of varying and increasing harshness or a martingale to control it’s head/neck). This Yang type activity can also be observed in training the horse with various contraptions such as side reins, draw reins, a Pessoa, use of a lunging whip, much repetition of action until the horse complies with your wishes. The novice will see this from those he/she considers as ‘senior’ and/or experienced and simply emulate when they have the opportunity to do so. In this way the Yang activity of dealing with a horse can also be seen in the Dojo (place of training) for the karateka (person who practices karate) if the ‘senior’ or experienced person does similar in their practice or dealing with more junior students . Both can be described as ‘modelling’ where one person copies or emulates another but it is modelling that is how to deal with situations in a harsh, Yang type way. For some this may well ‘work’, however, it’s short lived and sometime or another the physicality of the action will need to be increased when a more ‘stubborn’ horse comes along or a more aggressive karateka or even, just someone (horse or human) who just doesn’t understand what is needed, being asked, of them. Yang energy has some uses in some situations maybe but these are limited. As the old adage says, “If the only tool you have is a hammer then every problem starts to look like a nail”. Ying energy on the other hand encourages a joining of the energy of the opposing karateka or the horse. In this way the rider/horseman can blend with the energy of the horse, the karateka can move with the energy of the attack and both can use the energy of the other to advantage. In the case of the horse, which will often be circa 500kg of body mass, it has a clear advantage not to have to ‘fight’ or struggle against its will and in the case of the karateka having a softer Ying energy means that blows, strikes can be dealt with a relaxed body which means that less effort is needed and the energy of the attacker is used against them. In horsemanship there’s an adage, “To start with move the way the horse wants to go, then encourage the horse to move the way you want to go and finally move together”. It’s this ‘moving together’ that is so important in both horsemanship and karatedo as it’s only this way that true blending can occur. To be able to move together one must be able to feel the other as they move, breathe and even their intention before it becomes an action. In Shotokai much developmental time is expended in understanding this joining of mind and body with another person in order to achieve this blending. Eventually feeling and understanding the intention is the goal for it is only here that a counter move or joining of energy can occur as the karateka is confident of using Ying energy and not reverting to Yang energy in a more panicky type of way. In horse riding the subtleties of movement and identification of intention is still there, however, many riders fail to recognise either. This may be due to ego or inability or, in some cases, not being able to due to a lack of connection with the horse. The Total Contact Saddle gives the rider back this connection as it places the rider in contact with the horse such that breathing can be detected (often for the first time) and, with practice, intention can be identified. Once this level of rapport is achieved then guiding the horse becomes effortless as the thoughts and intentions and movements of one become those of the other and vice versa. It’s not about ‘control’ or ‘power over’ but more about a giving up of those emotional states on both parts. The use of the body to join with another and direct movement is also a mutually effective way of dealing with an attacker in the Dojo or a horse in the school. Subtle changes in your centre of gravity will enable the rider or karateka to ‘lead’ the energy of the other. This ‘leading’ is the end element of a joining, a movement in rapport (pacing) and then a leading which allows the karateka to redirect the energy of the other can to give them an advantage in a combative situation. In riding joining, pacing and leading is also important as the rider gives the horse guidance to act in such a way that it becomes the will of the horse. 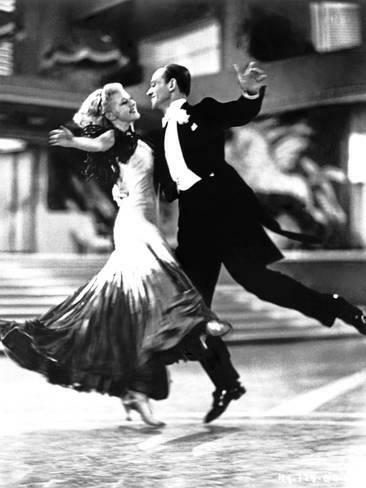 Consider two people engaged in ball room dancing, maybe like on Strictly Come Dancing, where the male, lead person, provides subtle cues to the female partner such that she ‘follows’ his movement and we all look on in awe at how they move, glide effortlessly together across the floor. Often these movement changes are accomplished with, almost unidentifiable changes of body position (changes in the centre of gravity) that the female dancer becomes aware of. In the Art of Classical Dressage this too is the optimum level of connection with the horse and ‘instructions’ are communicated one to the other with tiny changes of the body as the rider becomes aware of how the horse responds in a feedback loop of communication. In Shotoaki karatedo this can also be seen in, what is called, ‘kata’ where a group of karateka move together and establish a feedback communication loop within the group such that one may slightly change their effort, body position to ensure that the group as a whole are seen to move together. It’s a sort of Martial Art dressage from that point of view. Both have their origins in a more combative situation with the horse/rider combination needing to move and perform various movements on a battlefield and the karateka taking that ability to move with another into one on one and group sambon (sparring) situations and using Ying energy in them. Here again the Total Contact Saddle allows the horse to recognise those subtle changes in body and for the rider to recognise reactions and actions in the horse. There is no doubt in my mind that handling, dealing with, riding horses has much in common with the techniques learned in Shotokai Karatedo which are then taken into a combative situation. The use, and development, of when to use Yang and Ying energy in an appropriate way is essential to both. The movement and body changes to join with the other in a ‘Join, Pace and Lead’ way without undue expenditure of effort allows both the rider and the karateka to effect their activity in a graceful and grace filled way and in such a way that the other is unable, or not desiring to resist. Having the ability, and the tools to aid the, identification of intention before action is forthcoming is key - changing the action of a 500kg horse is much harder once that action is in motion rather than altering the intention - and the Total Contact Saddle helps with that ability for the rider whilst having an ego-less mind of both the rider and the karateka is also important. “Less is, most certainly, more” in both activities. Finally, the title of this blog juxtaposes Martial Arts with the Equestrian Arts by use of the word ‘versus’. This was a deliberate move on my part as, at first sight to many, one would have little in common with the other, however, I hope that the reader will see that there are indeed similarities in aspects of each Art and that maybe, one participant can learn from the other. That’s modelling at a very base level !! The greatest dancers EVER (?) and the greatest examples of rapport, ‘join, lead and pace’ that every horseman and karateka should aim for ….